members in Spring 2016 at Bailey Arboretum native plant garden. 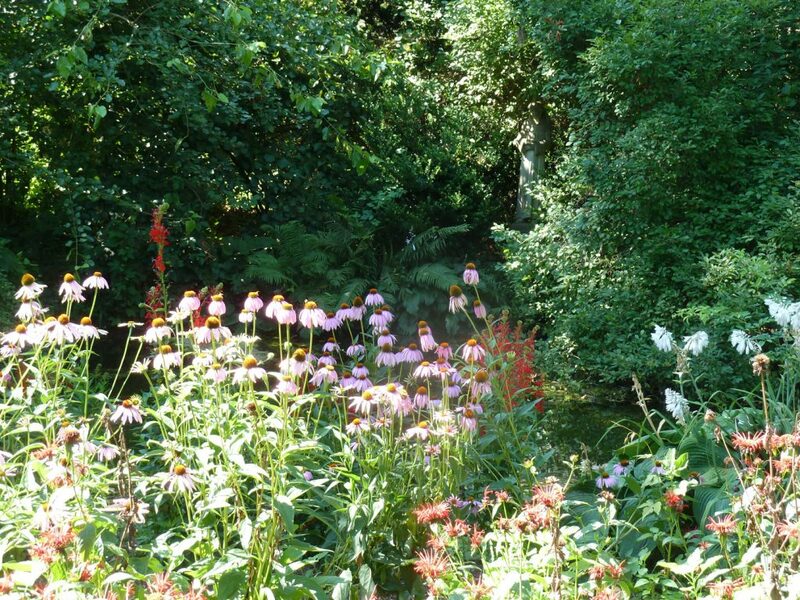 These gardens and several others need removal of invasive non-natives. To volunteer about twice a year email NSAS . Other places include Garvies Point and Science Museum of LI where NSAS has also created native plant gardens. 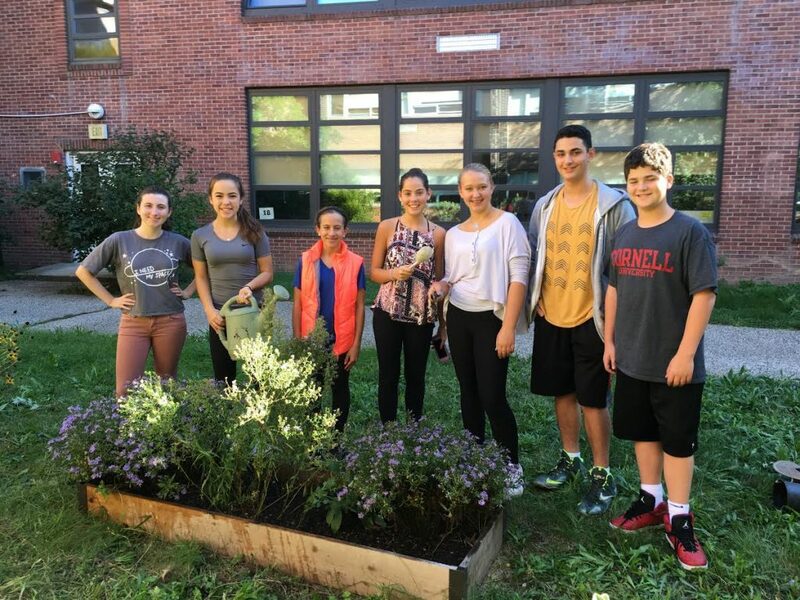 Further below find photos of Schreiber HS Tree Hugger club members who planted and then weeded the native plant garden in the south courtyard. 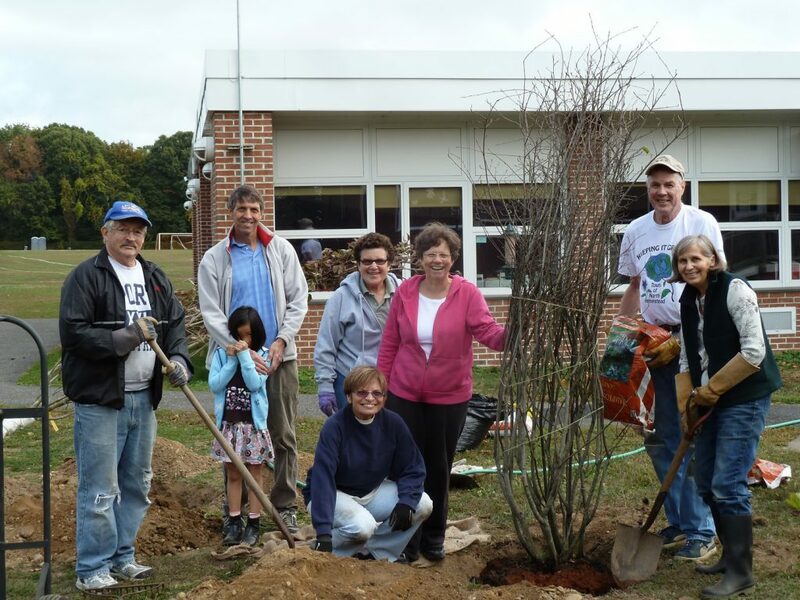 Another photo is of Port Washington Community members who helped NSAS install native trees and shrubs at Guggenheim Elementary School to create a more bird-friendly habitat.